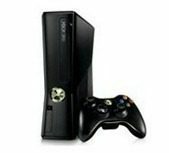 With last week’s release of the new Xbox One, we’ve all been expecting that Microsoft’s Xbox 360 would go on sale at a good price on Black Friday and Cyber Monday. But what will the price be? Microsoft’s Xbox site is mum on the subject, saying simply that Xbox 360 Black Friday deals will be revealed on 11/28, Thanksgiving day. But… our source at Microsoft has revealed that the company will have the 250GB Xbox 360 on sale for $199 during their Black Friday sale. At $199, that’s a $50 savings over it’s regular price of $249. A bigger surprise is the savings on their 32 GB Surface RT. It will go on sale at Microsoft stores for $199. That’s $150 off the regular price of $349. In addition to the sale on the Xbox 360 and Surface RT, Microsoft stores will also have Beats headphones and speakers on sale for 10% off. With the Xbox One being so new, it’s unlikely we will see any major sales on it. As most Microsoft stores are located in malls, they will be observing the Black Friday opening times for their individual malls. Will you be taking advantage of the Black Friday/Cyber Monday deal from Microsoft on the Xbox 360 or 32 GB Surface RT? Let us know in the comments section below – and be sure to stay tuned to Consumer Press all weekend long for more on Black Friday and Cyber Monday!